After his postdoctoral lecture qualification (“Habilitation”) at the University of Passau, Prof. Gründl was Professor at Humboldt University Berlin from 1999 until 2010, before he moved to Goethe University Frankfurt in 2010 where he holds the Chair of Insurance and Regulation and serves as Managing Director of the International Center for Insurance Regulation (ICIR). 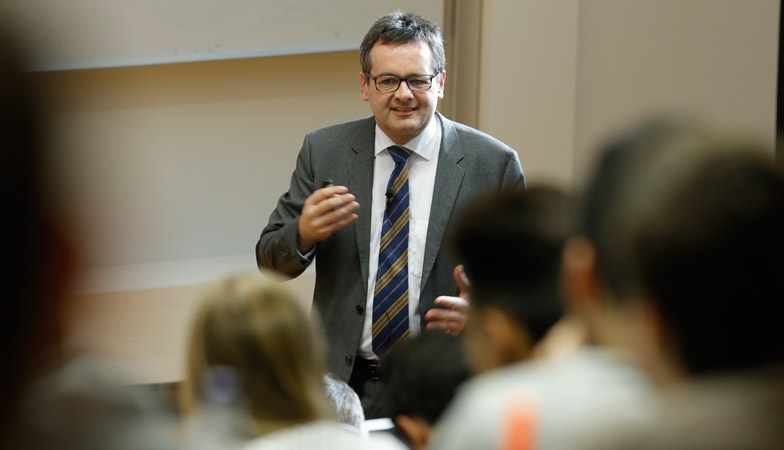 Prof. Gründl’s main research interests lie in the area of insurance, insurance regulation and risk management. He has worked on the question of policyholders’ demand behavior under the possible risk of forgoing insurance benefits and on the resulting consequences for the regulation of insurance companies. Presently his research focuses on insurance regulation in order to strengthen the scientific basis for regulatory decisions. In his quantitatively oriented lectures he covers corporate finance, insurance economics, and the asset and liability management of insurance companies.